Dr. Rob Weisskirch has been teaching at CSU Monterey Bay since 2001. 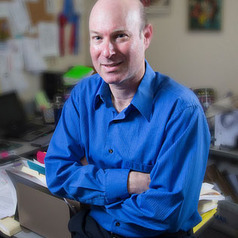 His research interests include: Acculturation and ethnic identity, language brokering (when children act as translators for parents and other adults, technology and relationships (i.e., parent-adolescent, romantic couples, sexting, breakups, and computer mediated communication), and pedagogy of human development.